These are some examples of our work. A few words from our clients and customers. "How do I sum up the magic that Dash brings to everything that she does? She is incredibly talented and she's someone you'll actually enjoy being with. Dash not only gets the aesthetic you're wanting and knows how to create just the right look, she makes the whole experience memorable. These were must-haves for me on my wedding day and I jumped at the chance to have her beautify me. She went above and beyond, helping me pick out just the right products and taking time to inform me of the perfect skincare tips and tricks. Her work is amazing and she'll know just how to make you comfortable as she highlights your lovely features and leaves you looking and feeling absolutely stunning." "Having never been much of a makeup gal, I was at a loss for what to do on my wedding day. When I met with Dash for my consultation, she immediately put me at ease. When I had no opinions, she had suggestions. When I knew what I wanted, she listened to the heart of what I was saying. She was there for me on the big day with a smile and a joke to get me through the jitters. She made me feel beautiful, confident and true to myself." "I just wanted to thank you again for the job you did on Saturday – Alan was so excited when he saw me….he said I looked like myself and then couldn’t stop saying how beautiful I looked J. The day was amazing – thank you for being a part of it.... Again – thank you for being so good at what you do!!" "This girl is amazing. She not only beautifies you (with swift precision!!) but makes you feel safe and loved. She has a very calming voice. You feel like you did cleansing yoga after your makeup sesh. You feel like you have gotten a body massage." For event, editorial, headshot, prom, etc. pricing, email us! We're here to help everyone feel beautiful! beauty experience for our clients. 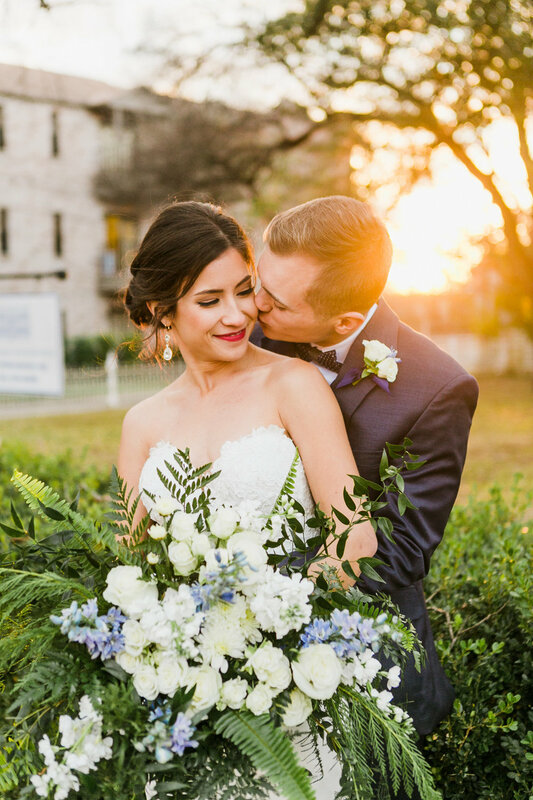 We offer on-site, fully-equipped hair and makeup services in the Austin area.